* This is world known and traffic getter franchise restaurant brand located in Sacramento County CA. * The restaurant for sale is situated in strip center and developed area of the town. * The deal included the restaurant with goodwill, furniture, fixtures, equipment owned by owner. The items leased by owner shall be assigned to buyer. * Gross sales is up to $32,000 per month approx. with high profit margins and lower food costs, as per owner. * The store is run with employees with high payroll costs which shall be good for an family run operation. * The buyer has to get approved by franchisor with passing standardized test, pay franchise transfer fee, and get training at its own costs. * The franchisor charges 8.5% for royalties and 4% for advertising fund approx. from net sales. * Owner may corporate with buyer to provided required documents from owner's side to complete franchise transfer process. * Current Rent is about $3100 per month approx., which is less compare to other stores. 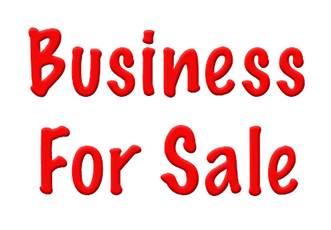 * Buyer may get long sublease from franchisor as the main tenant with the agreement of the landlord. * Buyer's opportunity to enter the franchise system and buy a good volume business. To get the address, Please register and SIGN NDA and Call or Email us to discuss.